Digital systems have virtually eliminated a simple privacy many people take for granted in daily life: the idea of anonymity in a crowd. If there is a unified way to think about what digital systems have done to privacy, it is that they connect contexts: social, spatial, temporal, and financial. If I pay my credit card bill late, I now understand the idea that it could affect my future credit rating. None of us know how our information is being used to make decisions about us. Facebook proudly report they collected 98 data points every day on each of their 2 billion users, and their facial recognition software can pick you out of a crowd. Your holiday and graduation pictures, your political affiliations, your interest in Ramadan or Chinese New Year – the list is endless by way of connecting the dots to the point where they have "another you". By using Facebook, you are freely offering them information that they use to estimate the value of your home, your net worth, what ethnicity you are, your income range and much more. Zuckerberg's mantra assumes everything is up for grabs without permission. Photo by Eric Risberg (AP). Sites like Facebook track the websites you visit and collect data to show you the advertisements which could possibly interest you. They buy information about individuals from data brokers – of which there are some 5,000 across the globe. What is scary is that not only is it advertisers who benefit from these data brokers, but intelligence agencies and the police who access these to bypass the laws of collecting information themselves. 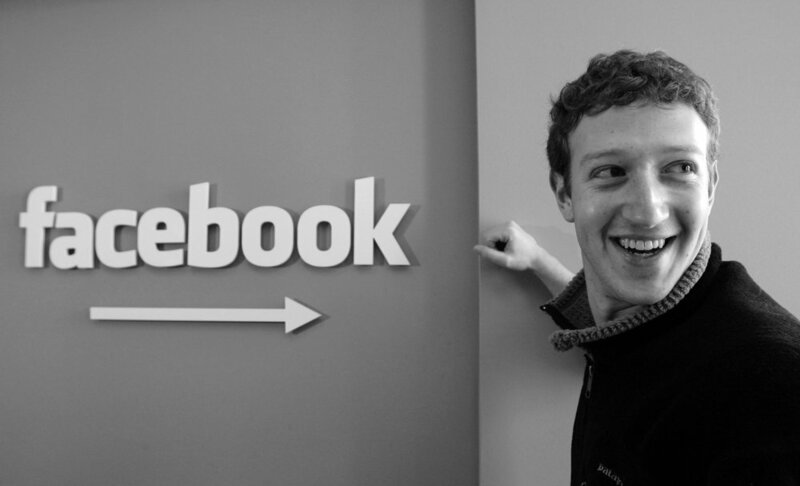 Mark Zuckerberg has said that privacy is no longer a social norm. But at what point does it also cease to become the political norm? Facebook has always talked a big game about connecting the world. But, as we were emphatically reminded recently, it often does the opposite; it inherently pushes people into political opinion bubbles. Fast becoming a media channel, a recent study by the Pew Research Centre found a staggering 66% of Facebook users access their news through the site. During the US presidential elections in November 2016, Facebook was the third main source of news for voters, only falling just behind Fox News and CNN. The Denver Guardian used the social networking site to post false information reading “FBI agent & his wife found dead after being accused of leaking Hillary’s emails.” The post was shared 568,000 times even though the information was entirely fabricated. It spread across the globe at the touch of a button and we can only assume that Hillary's personal brand took a beating. Photo by Steven Senne (AP). So now Germany fears that fake news on Facebook could affect the outcome of the German parliamentary elections in 2017. They are contemplating a new law that can fine Facebook €500,000 for each fake story if it is not deleted within 24 hours. Zuckerberg previously made light of Facebook’s role in spreading fake news by saying that only 1% of the news made public on Facebook is false. Although Zuckerberg now admits that he was wrong to minimise his company’s responsibility, the issue highlights how it's not the percentage that matters but the viral quality of things that could be said. Facebook holds out the promise of a mass personalisation pinpointing users with extraordinary precision. But despite Mr. Zuckerberg’s protestations and philanthropy, I still cannot accept that his work has some higher social purpose. Every time you go to Facebook, you unleash a mad scramble of money and data that screams along undersea cables through the world's best databases – where everything that is known about you can be plundered by greedy strangers. Quite simply, online Adtech advertisers interpose themselves between buyers and sellers to capture a cut of the revenue. They are extracting millions from small daily transactions around captured attention ­– it's so insidious and beyond most of us. In an attention economy, you pay for free content and services with your time. Lousy compensation I'd say. Photo by Paul Sakuma (AP). These days, even staying off social media doesn’t protect you. FindFace is currently taking Russia by storm – it allows users to photograph people in a crowd and work out their identities. Started by another set of young, ego-bloated geniuses like Zuckerberg, it completely dismisses the right to privacy. But this fact seems lost on a media hungry generation. It seems the expression "in confidence" as a promise is almost becoming impossible to make. Is your privacy that truly safe with me? Crazy Horse is one of the most famous American Indians in history, but there are no pictures of him. He refused to be photographed, because he believed the camera would steal his soul. It seems our egos could well be our soul’s worst enemy. Without privacy, I can’t see the point in being an individual.